Check it! 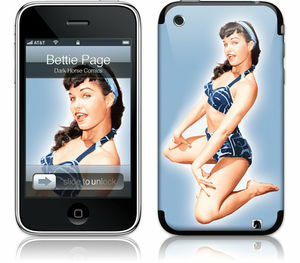 Pimp your iPhone with Bettie, thanks to Dark Horse Comics! Our second wave of designs includes the Dark Horse logo and the timeless beauty Bettie Page, the new line of GelaSkins is the perfect way to protect your technology while showing off your signature style.